One of its kind – the Polish Track Training Camp. 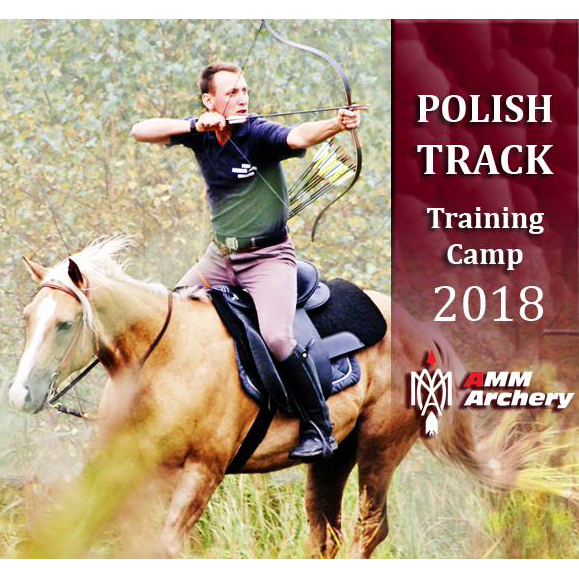 This is what all enthusiasts of horseback archery were waiting for – the Polish Track Training Camp. 4 days of adventure, great fun and learning. Our expert, Michał Choczaj (the main inventor of the Polish Track, and the trainer of the leading female horseback archer, Anna Sokólska) will share with you his knowledge and will help you to improve your horseback archery skills. Learn more about this event, on facebook. The Polish Track is a horseback archery discipline which requires multiple skills from competitors (horseback riding as well as archery skills). You not only must be able to ride and shoot, but also be able to hit off-side, jarmaki, kabak, merida and close and long-distance targets. The Polish Track is much longer than an average horseback archery track. It can have from 600 m up to over 1 km. If you would like to attend the Polish Track Training Camp, just fill out the Application Form. We are specialized in the thumbring technique, but also “three fingers” are more than welcome – all of our knowledge can be used in both cases.